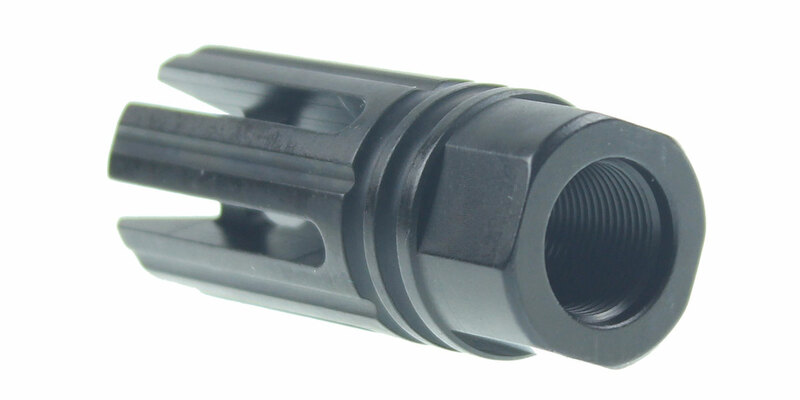 This Recoil Technologies AR-15 6 Port Muzzle Brake is Nitride finished and made in the USA. 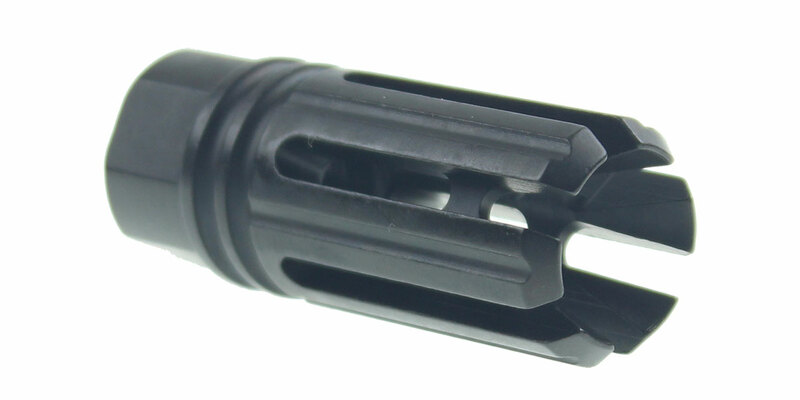 This Muzzle Device Features 6 Port Vents To Help Thrust The Flash Forward And Away From The Shooter. 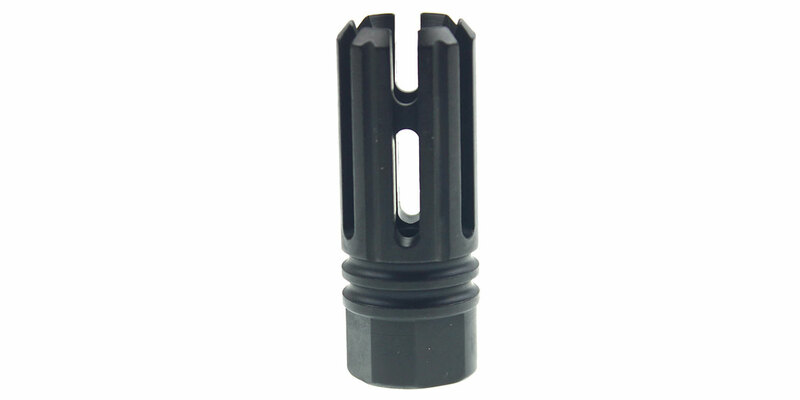 This Muzzle Brake has a 1/2x28 thread pitch and can work for 5.56 NATO, .223 Wylde, .224 Valkyrie, and .22 Nosler caliber barrels. Please note: If the listing says "In-Stock" it means we have all of the items in stock. Please check this LINK to view our most up to date shipping status. Delta Team Tactical offers a 30 day return, refund and exchange policy. You must email or call Delta Team Tactical and obtain an RMA number prior to any return, refund, or exchange. All returns must include the original order number, receipt or invoice, along with the billing address, shipping address, contact phone numbers, contact emails, and RMA number. Returns, refunds, and exchanges may take up to two weeks, not including transit times, for processing after we receive it. Return shipping costs will be the responsibility of the returning party, with the exception of the wrong item being received or on warranty exchange during the first 30 days after delivery. Items returned for warranty will only be replaced or exchanged, not refunded.